The courts in the United States have decided that the British oil company called British Petroleum (BP) will have to pay over US$4 billion to various organizations for an oil rig explosion in April, 2010. 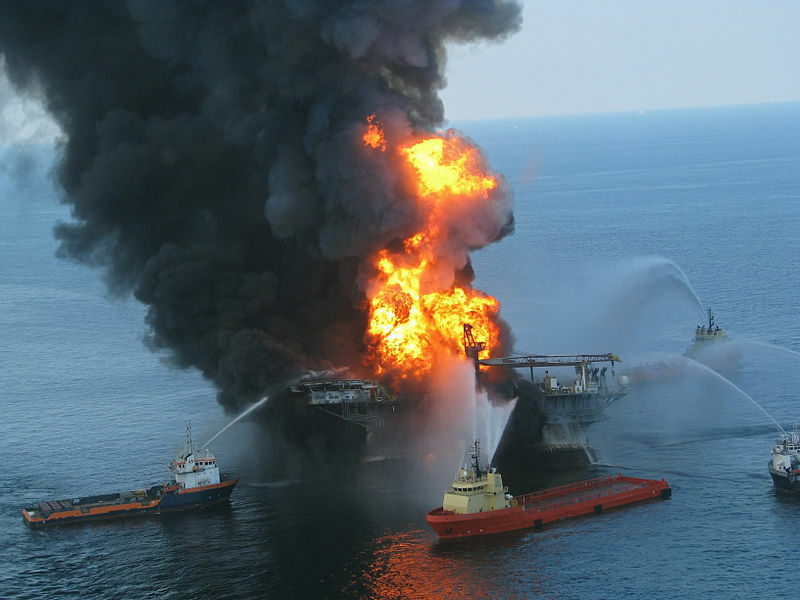 BP was digging for oil in American waters (Gulf of Mexico), and the Deepwater Horizon oil rig exploded. Eleven people died, and oil leaked in the area for about 3 months until BP was able to stop it. Many birds and animals died. Businesses and people who relied on fishing in the area suffered financial losses. The US government blamed BP for not following the safety rules, and filed a case against the company. BP has been found guilty. An oil rig is a large structure that is used to drill a hole in the ground (called an oil well) to extract oil. Did you know? Crude oil that’s dug out from the ground is formed from the remains of animals and plants that lived in a water environment millions and millions of years ago (even before the dinosaurs). Over time, the remains of these animals and plants were buried under layers of sand. The pressure and heat from these layers turned the remains into “crude oil”. Here are two videos, one showing an oil rig and the other showing how crude oil is made.